When the boys were teenagers, I would make a joke about this or that and they would look at me with a deadpan stare and say, "Mom! That was NOT funny!" I would laugh even harder and reply, " Yes it was, I am cracking up!" They were not amused. 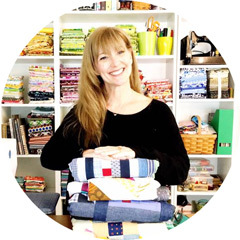 When putting away fabric and sorting scraps I made a pact with myself that NO SEWING would take place until everything in the sewing room was put away properly in a place...and then I laughed and laughed and laughed! I was sad that the boys were not here to tell me nothing was funny so I could laugh even harder. 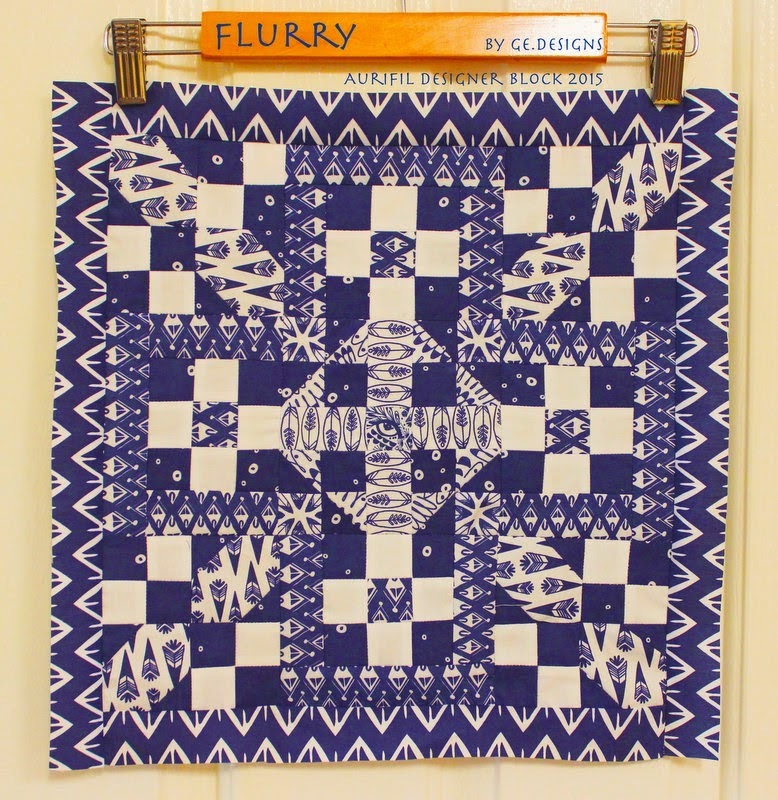 Have you seen the 2015 Aurifil Designer Block of the month for January by Gudrun Erla from GE Designs? How could I resist this lovely mini quilt pattern? Did I mention it is FREE!?! So I completely broke free from the pact I had made with myself ( last week) and pulled out some beautiful fabrics to start sewing! I used Michael Miller dots ( not sure of the line) and Robert Kaufman Kona Robin Egg! These are not my usual colors but I love the way the blue POPS! The pattern is fantastically written and very easy to follow. All of the cutting instructions were spot on. Even though the pieces are small they are not unmanageable. 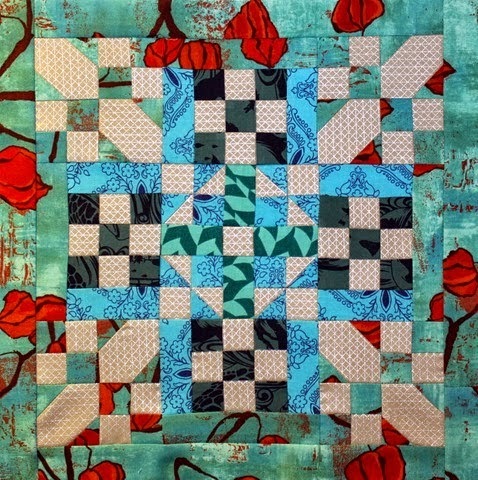 It was fun to watch this mini quilt top come together. The most difficult part of this process will be deciding how to quilt! The thought had crossed my mind with this BOM, since they are all mini quilts, is to make them and have them ready as gifts for birthdays or Christmas. Planning ahead is always a good idea! Here are a couple of other finishes for the BOM from other quilters using different fabrics. Love these! I love that block!! it's amazing how different it looks from the other ones from contrast and only 2 colors!!! I love that they are all mini quilts! I do like the polka dots! I totally relate to your story!! My kids were and still are like that. "Mom, you're not funny"...but we know we are! I can so relate to your story. Also reminds me of when I use phrases from the 80's and my kids say, "Mom, don't say that!" swoon worthy.. DOTS and pops of robins egg blue.. Tiffany blue perhaps? Love your dots and aqua. Such a pretty mini.